THE LAST PERSON to have a valid opinion on a book is the author. So instead I will use the words of others to describe my work to you. The book is organised into four sections: Finance, Media, Fans and Football Governance. They all played a part in the dénouement of this saga. The book is a combination of previously-published online articles and new material exclusive to the book. 3. What the football authorities in Scotland tried to do after the fact to assist the Ibrox club. The fans were onlookers. They were consistently misinformed by club and media alike. This isn’t a football book per se. It is a book about politics and society in Scotland. The Rangers story should be of interest to republicans and anyone who has to engage with loyalists. Scotland has always carried great cultural weight on the Shankill and in places like Rathcoole. That is not generally reciprocated and the Scottish ‘Prod in the Garden Centre’ throughout the Northern conflict did not consider it to be any of his business what the Irish got up to. Only at Ibrox did the day-tripper from Ballymena feel that his Britishness had some affirmation on the Clyde. For over a century, Rangers has been a gathering point for the most toxic elements within these islands. The club infamously operated a discriminatory signing policy regarding Catholic players from before the First World War until 1989. They also somehow managed to avoid signing a single Republic of Ireland player for their first team since FIFA recognised the RoI as a separate footballing entity playing under the Tricolour. Scotland’s ‘Establishment club’ has written permission slips for racists for generations. There was an unstated emotional contract between the Ibrox klan and the people in the boardroom. The ‘no Catholics’ policy in the early 20th century was (in the days before a globalised market in football talent) really a ‘no Irish’ policy. Downfall is about what happens when the virus of unbridled capitalism is allowed to infect sport. The owner, David Murray, turned Rangers into Lehman Brothers FC. Just like the wide boys on Wall Street, it was the 2008 banking crash that did for Rangers. After that, the club was financially crippled and the bank moved in to run them and imposed an austerity programme (sound familiar?) to drive down their level of indebtedness to Lloyds banking group. The hubris of the fans prevented them from mobilising to save their club. There were around 150,000 Rangers fans in Manchester in May 2008 when the club reached the UEFA Cup final, yet in April 2012 they couldn’t manage a tenth of that number to march in their own city to save their club from extinction. In the 1990s, Celtic fans organised and toppled the old board, and then took part in the most successful share issue in British football history. The cultural difference between the two sets of fans is as marked as that between the ideologies of republicanism and loyalism. Quite simply, the Rangers fans waited around for an authority figure to tell them what to do. On their own all they could manage to form was an angrily incoherent lynch mob outside Ibrox. This book is also about how new media broke the Section 31-style censorship and reporting that operated to protect the Ibrox club. The mainstream media were telling people that all was well with the mighty Rangers and the people in the Ibrox boardroom were spinning their loyal fans a line too. Ironically, it was bloggers from the green half of the city that were ahead of the story. What they were being told was very serious stuff. I said that their club would be liquidated if they did not act. They didn’t act and the club was liquidated. What takes to the field now as ‘Rangers’ is a franchise operation owned by Sevco Scotland Limited. Yet the mainstream media peddle the fiction that this is the same club when FIFA and UEFA are very clear that it is not. The two awful things about this book for the Ibrox masses are that the thesis contained in the book is unanswerable: Rangers self-destructed from jealousy and arrogance. In trying to emulate the achievements of Jock Stein’s Celtic they fell into a debt spiral and tried to scam the taxman. Even worse than that, they were warned about their impending doom by a Glasgow Gaeilgeoir, an Irish citizen who was cheerfully uploading from his Donegal home. The media were too cowardly to report and the fans too bigoted to believe. By the time Rangers went into administration in February 2012 it was already too late for them to act to save their club. 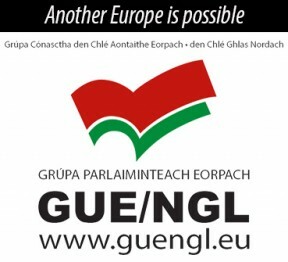 The book tells the tale that the truth was out there, but unfortunately it was being made available to them by a Fenian. They chose to attack the messenger and ignore the message. It was a fatal miscalculation. When the administrators were appointed, liquidation was a certainty but still the mainstream media kept peddling the good news fairy stories. The club, media and the fans became locked in a denial system that only outsiders could perceive accurately. There have been no reviews of Downfall in the Scottish media but on Amazon there has been an interesting development — the clairvoyant reviewer! As the book was being prepared for publication, I started to notice that quite a few book reviews were going up about Downfall. At this point the files had not even been sent to the printers. Every one of these ‘reviews’ awarded one star for the book and indulged in personal (often libellous) abuse of the author. These psychic literary critics knew all they needed to know without even seeing one word: this was a book about Rangers written by me. I had been a hate figure for the Ibrox klan since I had first called out a section of the Rangers support for their anti-Irish racism, most notably the singing of the racist ‘Famine Song’ in 2008. They didn’t need to know anything more than I was a Fenian. That is all they ever have to know about anyone. It is a simple enough worldview which does not accommodate complexity, nuance or subtlety. A key component in the downfall of Rangers was the fact that the club’s supporters were part of an evidence-resistant sub-culture. When they don’t like the message they attack the messenger. The Sun approached the publisher to serialise Downfall. After the initial interview was published, the offices of the newspaper received a torrent of abusive calls. The journalist who interviewed me was threatened. The club warned that if the serialisation went ahead, Sun journalists would be banned from Ibrox. The editor caved. The Sun debacle rather proved one of the central arguments within the book: that when it came to matters Ibrox, Glasgow journalism was craven and servile. The sales of Downfall have taken both the book trade and my publisher by surprise. The second print run – which had been planned for early November – was ordered only a few days after the book hit the shops in Scotland. This is worth mentioning because Downfall was an under-the-counter item in several branches of Waterstones in Scotland during the first week after publication. It was their best seller and it wasn’t on display! The publisher has been in the trade for over 20 years and he said that this was a new one on him. Threats had been made to Waterstones’ HQ and obviously they have a duty of care to the shop staff. 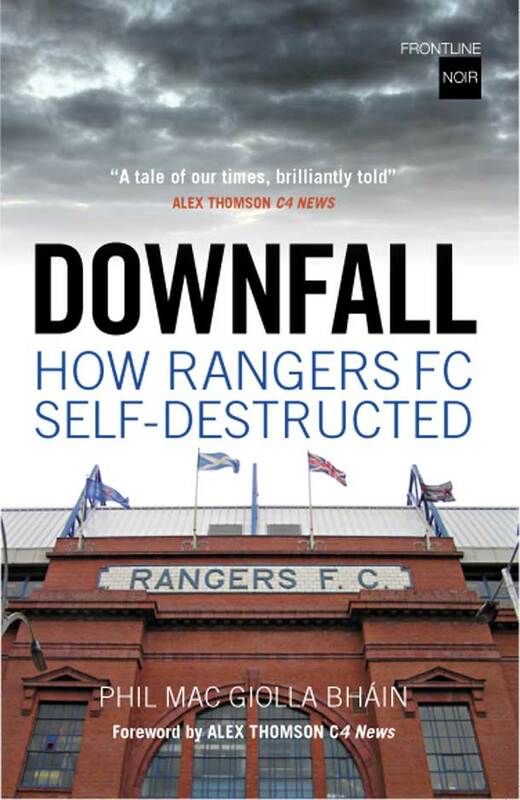 As I write this, Downfall is WH Smith’s ‘Scottish Book of the Month’, much to the chagrin of the Ibrox illiterati. A reasonable person might then suppose that there had been several book reviews from the media in Scotland. Well the reasonable person would be wrong. The mainstream media in Scotland have maintained a radio silence on this book. Moreover, there has not been a single column inch devoted to the Sun serialisation debacle. Downfall is not a book about sport but about unfettered capitalism and a craven media bowing down before an ‘institution’ that itself panders to a racist customer base. Downfall will be reviewed in next month’s An Phoblacht. The book is dedicated to ‘Mick Derrig’. This was Phil’s pen name when he was a columnist for An Phoblacht. Michael Derrig was Phil’s maternal grand-uncle from Mayo who was interned in Britain after the Rising and was a Volunteer in the Tan War.